​​ DALLAS – Construction is underway on the latest luxury high-rise tower in the Harwood District. 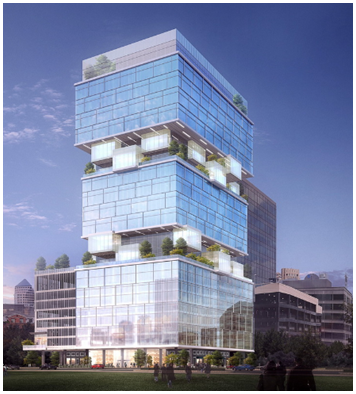 Upon completion, the 22-story, 226,778-sf mixed-use tower, called Harwood No. 10, at 2850 N. Harwood St. will be the tenth project in the Harwood master plan. The 22-story tower includes more than 14,000 sf of retail and restaurant space. The 16th and 17th floor also will have balconies and the 10,485-sf penthouse will have a garden of its own overlooking the Dallas skyline. The penthouse is being marketed at $55 per sf.